Look Inside To Find Out How To Make Your Child’s Birthday Unforgettable! 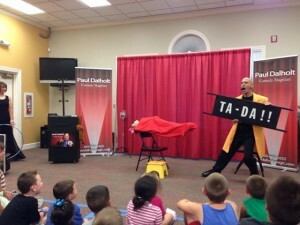 These are just a few of the magical moments you can experience when Presto Paul appears at your next event! Warning – SHOW MAY CAUSE SUDDEN OUTBURSTS OF LAUGHTER! The show is full of Comedy and age appropriate Magic. Presto Paul knows he is a role model to children, so you don’t have to worry about the use of any inappropriate language or any tricks that will harm the children. 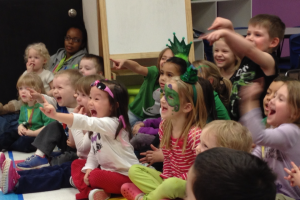 Smiling Faces and Hearing Outbursts Of Laughter! We loved the back drop, your choice of music for certain tricks, and that you had the Birthday girl so involved. I will (and have already) told everyone how much they get to enjoy their child’s day by watching you entertain. How you can even keep a group of 5 year olds attention for 1 hour. I got emails and texts untill 10 at night with moms telling me their kids were still talking about all the fun they had at Lexi’s Party! The adults were as Amazed as the kids. They asked if the show was for the adults or the kids. It was great that you included every child and you made my son feel very special by giving him so much attention. It made his birthday Awesome! I know he will never forget it. 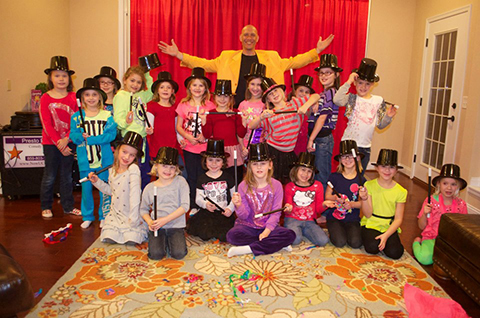 Fill out the quick form and you’ll get instant package and pricing information for my children’s birthday party entertainment. How did you find me? Please select an option… Personal Referral Google Facebook Twitter I am a previous client My child’s preschool My child’s elementary school My child’s summer camp Another party I attended Restaurant Other Other What phrase did you search? Who referred you? Which online directory? What is your FULL name? If you do not wish to provide your email address, you can call me at 859-803-1655. I can speak with you about the different packages and pricing options and I can answer any questions you might have. But, the fastest and easiest way to receive all pricing and package info is by filling out the Quick Info Request form above.